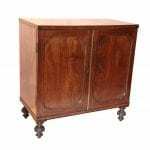 19th Century George III mahogany linen press with broken pediment above two doors, the interior fitted with hanging rail. 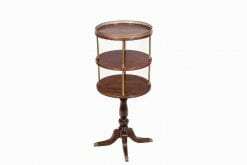 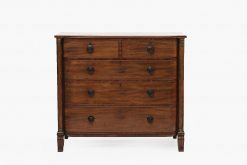 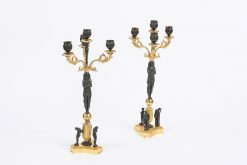 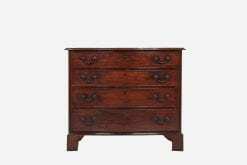 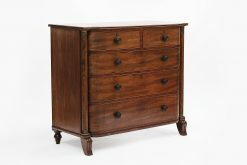 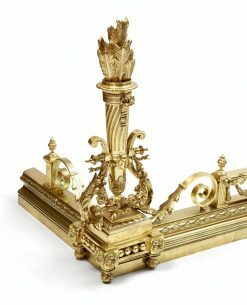 The bottom section with two short graduated drawers and two long graduated drawers with brass ring pulls raised on bracket feet. 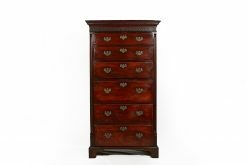 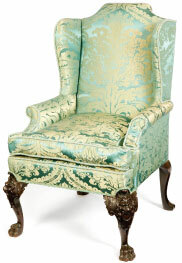 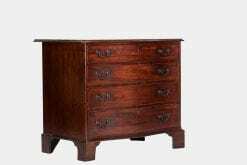 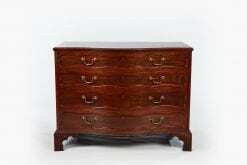 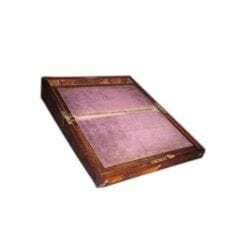 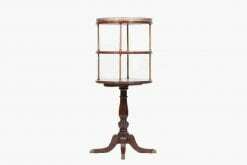 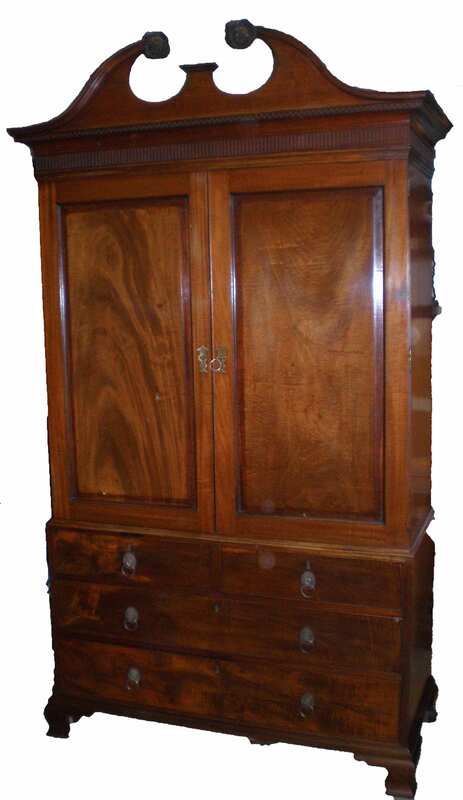 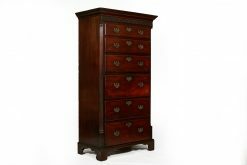 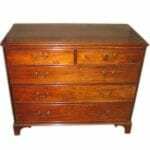 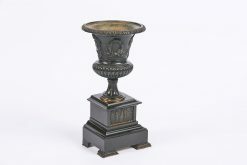 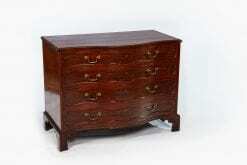 To enquiry about "9054 – 19th Century George III Mahogany Linen Press", please complete the below form.